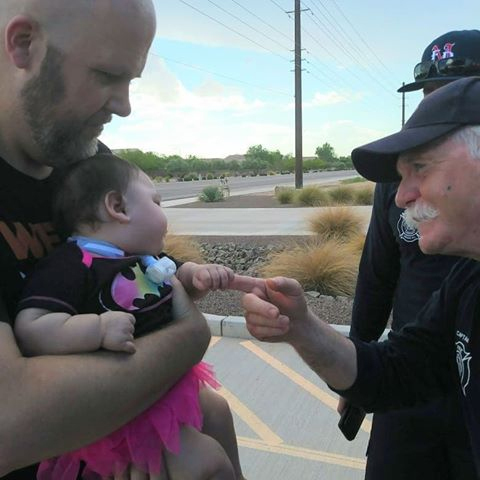 A Maricopa family thanked a crew from the Maricopa Fire/Medical Department for heroics that saved an infant’s life. 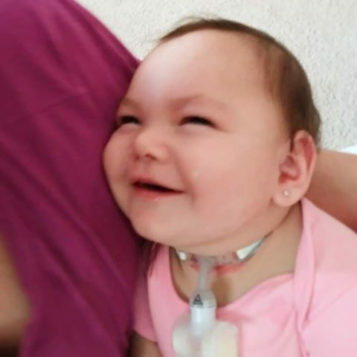 The incident occurred in March, and the little girl has been recovering ever since. 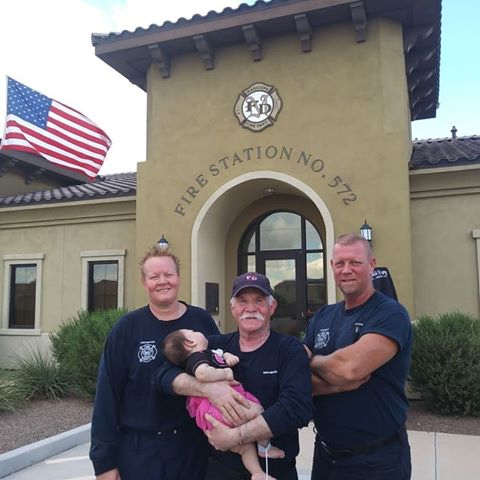 This week, Joshua and Katrina Nichols brought Ella, now 1 year old, to Fire Station 572 to meet the crew who worked so diligently to keep her alive. Today, Ella officially will be adopted by the Nichols family. Because of her rough start, she has chronic lung disease and cognitive delays and needed a tracheal tube and gastrostomy tube. 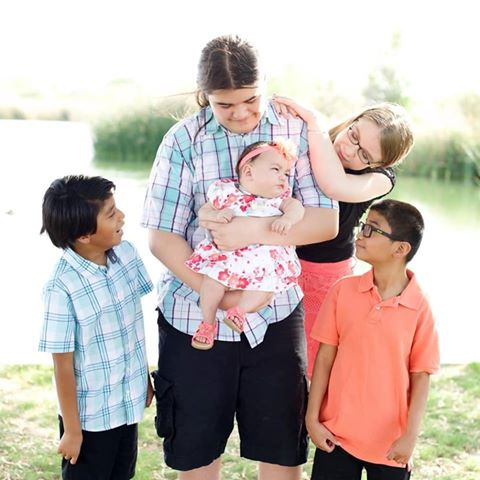 At 2 months old, she finally left the hospital and moved into a foster home for “medically fragile” children. Josh Nichols, a respiratory therapist, met Ella during his brief assignment at Phoenix Children’s Hospital during the winter. 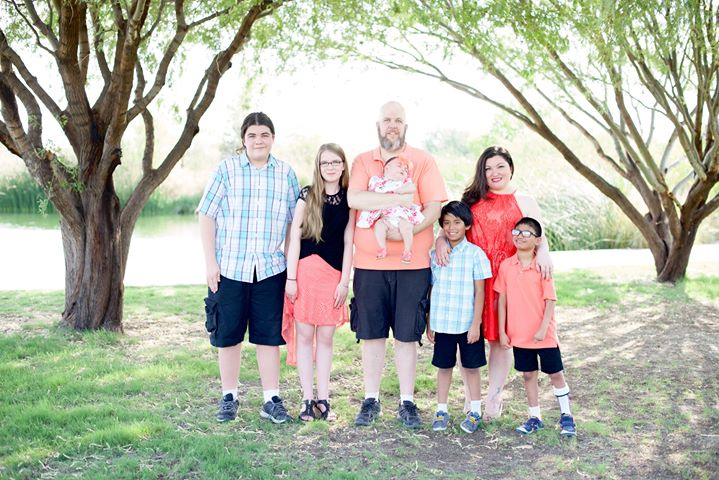 Already the father of four, including adopted and special needs kids, Josh fell in love with Ella. The Nichols family was soon her foster family. Ella has a pulse oximeter and apnea monitor to measure her vital signs as she remains fragile. March 20 just after midnight, both monitors alerted Katrina Nichols to the fact Ella wasn’t breathing. “Needless to say, it was the scariest thing that has ever happened to me,” Katrina said. A 911 dispatcher guided her through the technique of infant chest compressions. First responders arrived within five minutes and took over. 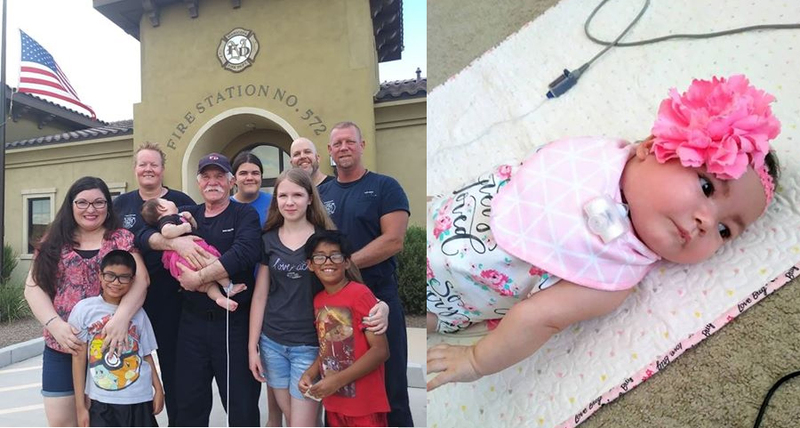 The Nichols family returned to Fire Station 572 to thank the crew that had a hand in keeping Ella alive. Three of the crew – Captain/EMT Dan Ashton, engineer/paramedic Tom Reid and firefighter/EMT Shayleen Parris – were at the station.